A newly-unsealed injunction against Uber argues that the company knew —or should have known —that hire Anthony Levandowski had taken 14,000 files from Alphabet's self-driving division, Waymo. The injunction blocks Levandowski from work on Uber's LiDAR technology, or consulting on it with other Uber workers, according to The Recorder. The company must also return the files to Waymo by May 31, avoid using any of their data, and provide details on any people who accessed them. The U.S. District Judge who approved the injunction, William Alsup, did however deny a Waymo request to block Uber from using two patents, claiming that they aren't actually being used in any of Uber's current technology. 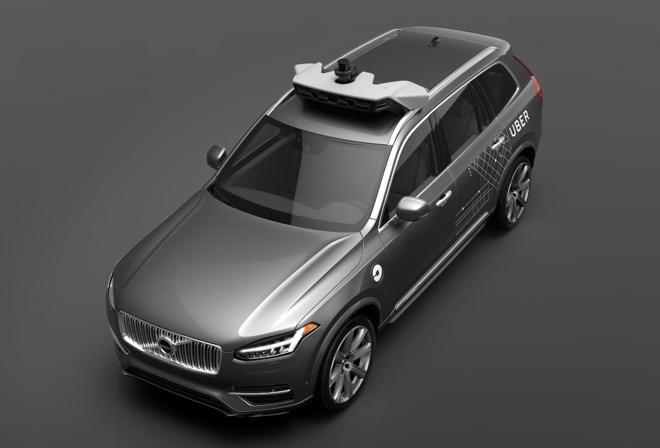 Uber has never denied that Levandowski took files from Waymo, but has maintained its own innocence in using them or even having them in its possession. After leaving Waymo —previously a project within Google —Levandowski founded the self-driving truck company Otto, which was bought by Uber several months later. The company is not only facing a civil lawsuit from Waymo but a potential criminal investigation into theft of trade secrets. Prior to the injunction, which was issued last week under seal, Uber had already sidelined Levandowski and said it was willing to accept that being formalized. The conflict could have major ramifactions for the ridesharing industry and self-driving technology in general. Waymo and Uber are just two of many companies developing self-driving platforms, but are also some of the only few operating on public roads. Apple has only just begun public testing, using a handful of modified Lexus RX450h SUVs. The company should decide sometime this year whether to resume designing a full-fledged vehicle or partner with one or more third-party automakers.